الخيار الأفضل للحصول على المتعة والاسترخاء, Welcome Inn 277 يقع في منطقة فولارتون في أديليد. لا يبعد الفندق كثيراً عن مركز المدينة، فهو يقع على بعد 3.0 kmKm منها. في حين يستغرق الطريق منها إلى المطار حوالي 15 دقيقة. إن سهولة الوصول من الفندق إلى المعالم السياحية الشهيرة الكثيرة في المدينة كمثل Adelaide Central Gallery, ‪Sam's Bit on the Side‬, بيومونت هاوس هو استثنائي بحد ذاته. كما يقدم Welcome Inn 277 الكثير من الخدمات لإغناء رحلتك في أديليد. إن واي فاي مجاني في جميع الغرف, خدمة التنظيف يوميًا, تخزين الأمتعة, واي فاي في المناطق العامة, خدمة صف السيارات هي جزء فقط من الخدمات التي تميز Welcome Inn 277 عن باقي الفنادق في المدينة. في Welcome Inn 277 غرف نوم يزيد عددها عن 26 صممت بذوق وعناية لتوفر لك كل وسائل الراحة . بعضها يحتوي أضاً على تلفزيون بشاشة مسطحة, اتصال لاسلكي بالإنترنت, اتصال لاسلكي بشبكة الإنترنت (مجاني), غرف لغير المدخنين, مكيف هواء. يقدم الفندق خدمات رائعة كمثل السهام المريشة لمساعدتك على الاسترخاء بعد نهار طويل من النشاط والتجوال في المدينة. إن Welcome Inn 277 هو خيارك لخدمة الفنادق الراقية في أديليد. Rooms are clean, nice friendly staff, We will stay here again. We had such a lovely, warm welcome which set the mood for an enjoyable stay. The room was neat and clean with little extras that made our stay away from home very comfortable. Great value for money - I will definitely stay here again! Nice people to deal with and very obliging and friendly. 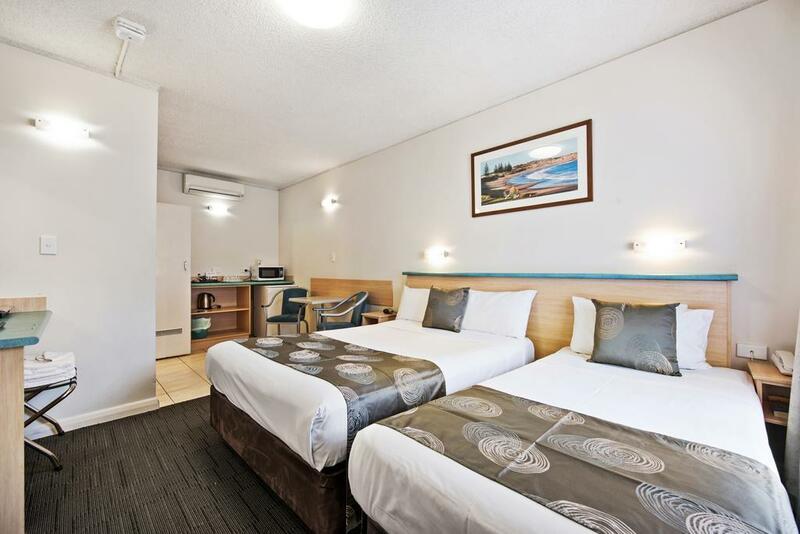 The rooms were clean and tidy etc BUT the motel is situated on the corner of two main roads with one being the MAIN ARTERIAL ROAD OUT OF ADELAIDE as well as two other busy roads. Being situated at the intersection of four traffic lights it was very noisy continuously. It seemed one night it was so loud I thought I was sleeping on the footpath. The doors also needed to shut snugly. The rooms could use some insulation to stop the noise. I was being wakened in the early hours con stately by the traffic noise of heavy trucks on their way interstate. For a couple of nights stay, this is fine. No bells and whistles but everything you need. Comfortable bed. Staff ever so helpful. The Indian restuarant across the road is excellent. Other restuarants and cafe close by. Somehow the date for our arrival was mixed up(my booking slip was correct) and the motel was expecting us on 29th Sept instead of 30Th. I don't know how this happened but was unsettling for the staff as we got the last room it being a holiday weekend. We traveled with our elderly mom and enjoyed friendly service and kind staff. 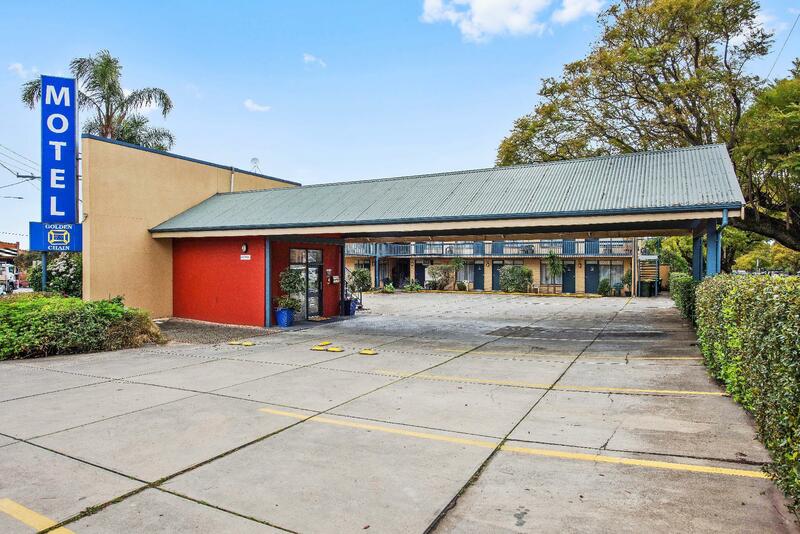 Location is great and very close to the city. Rooms are clean and well appointed. Overall, it is good enough for us since we were only staying for two nights. We did not stay in hotel too much, only staying there at night. Just two things may need to improve... 1. The shower water is not hot enough 2. The parking is not enough. When we went back to the hotel at night, I can't believe all the spots were filled. I think the hotel should make sure every room has its own spot, try numbering the parking spot by room number. 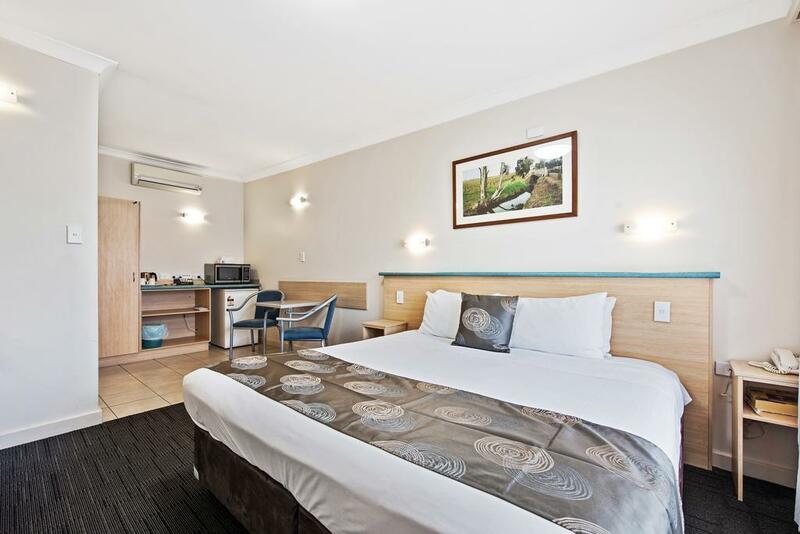 The motel is conveniently located; just two klms from the Clipsil 500 track and on the highway for easy southern access to the Adelaide Hills. The staff were plesant. Roomservice breakfast. We were disappointed with this motel; , we could hardly turn around in the bathroom which surely couldn't be to lawful specifications. The advertised restaurant did not exist, nor did the advertised BBQ picnic area. Very average as an amenity, no doubt close to city but very very average. Reception staff was helpful, provided a bottle of milk free of charge as had young child with me. I’m not sure why anyone would rate the Welcome Inn 277 highly. This was, by far, the WORST hotel of our one month 12-hotel Australian trip. The bathroom was the size of a closet, and the shower was designed to flood the entire floor. The “kitchenette” was minimalist, the carpet was gross and badly stained, and the entire room smelled stale. The office closed at 9:30pm, and at around 11pm, some guests decided it was time to have a loud party in the courtyard. It is well-located, but in order to get into Adelaide, one needs to drive or take a bus in heavy traffic. The metro/trains are all on the other side of town. Google Maps shows the hotel about 1.5KM from where it actually is. It's easy to correct Google map errors; the hotel owners just haven’t bothered. No coffeemaker, but there was a teakettle plus instant coffee. We booked online and took the motels websites word for it that it had been refurbished. Either this was a lie or the website hasn't been updated in 10 years as the carpet was disgusting. It may only have been stained but it looked filthy and we couldn't bring ourselves to walk on it without shoes. It was great, comfortable, got a great sleep, staff were lovely, nice stay. The lovely lady at the front desk and thats it!!! We were dissapointed in the room we had as it lacked facilities and after locking the key in the room we found that there was no after hours service. We were left stranded and cold. We didn't know anyone so we needed to decide to sleep outside in the cold on a bench like a hobo. After finally reaching the owner which was holidaying in another state, we finally were able to get into our room later the next morning. We also had an issue with a leaking toilet. WE WERE NOT HAPPY (to say the least!) The positive thing was that the staff were very helpful and friendly (including management) and very apologetic however it didn't make up for the stress and inconvenience. All in all, we found it lacked standard facilities and thought it was overpriced for the standards we experienced. 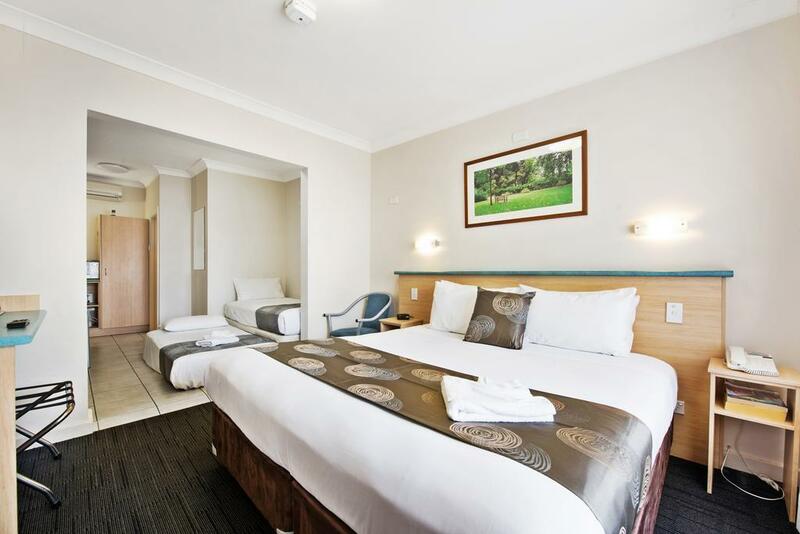 A low cost value for money hotel, yet clean, comfortable and the staff were very friendly and helpful! This is a budget motel - no swimming pool - no facilities for making breakfast/meals etc - only tea/coffee/milk supplied.Studio was basic but comfortable. Bathroom adequate. 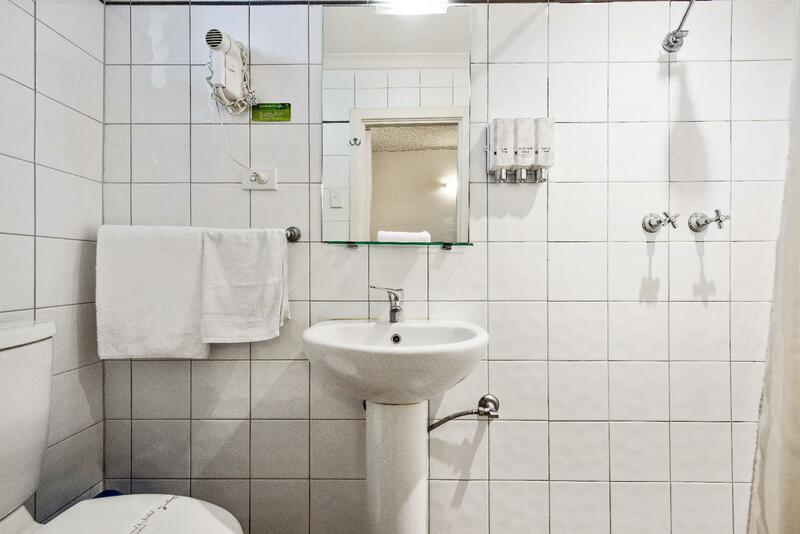 Sadly the cleaning of the studio and the bathroom was an utter disgrace on certain days of the week and I wouldnt be in a hurry to recommend this motel to my friends. clean, comfortable, easy to find. It was quite comfortable, although the car park was first in best dressed. There were quite a few large 4 wheel drives and it was very hard to negotiate reverse parking especially in the corner car spaces.